In this video bass lesson I’ll be showing you a fairly easy slap bass groove. It’s a good one to try if you’re new to playing slap bass. If you’re completely new to slap bass the first video on this page is a Slap Bass Crash Course to get you up to speed on a couple of the techniques you’re going to need. 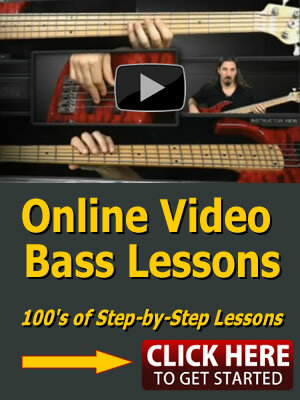 Be sure and check out the course if you are looking for a systematic way to develop your Slap Bass Super Powers. Learn the basics of the slap and pop techniques along with how to play ghost notes. In the bass tablature below all of the notes are slapped except where you see a “P” which is a pop. The x notes are ghost notes. Be sure and download the jam track lower on the page.